Absolutely the best absolute filter cartridge for well completion fluids. What makes our absolute pleated filter cartridge suitable for filtration of well completion fluids? 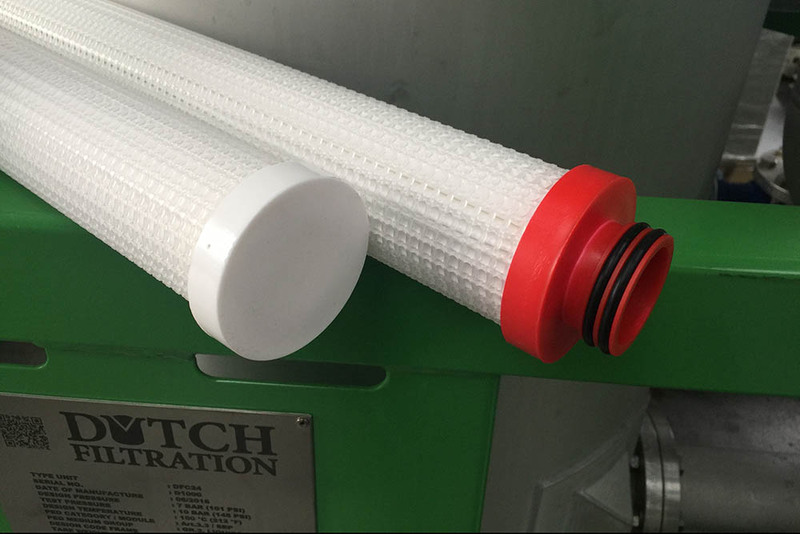 Dutch Filtration has developed an high performance absolute pleated filter cartridge especially for polishing of oilfield brines and fluids. Our large surface filter cartridge has a multi layer system for; absolute filtration, high dirt holding capacity and high throughs. The cartridge is completely welded and free adhesives. The filter cartridge is available 0.5 – 100 micron and standard in glass fibre/polyester or polypropylene media. Our DPA-serie absolute pleated filter cartridge is especially designed for trouble free high performance filtration of well completion fluids. Check our website for the complete range of filter consumables and filter equipment.